Whether trade wars are easy to win, as US President Donald Trump asserts, depends a great deal on your opponent. If your target is Germany — a country with a current account surplus of some 8 per cent of gross domestic product — then yes, a trade war is easy to win. For the US to target Germany is in some respects a category error. As a member of the EU, Germany does not have an independent trade policy. As a member of the eurozone, it does not have a national currency. The right geographical counterpart to the US would be either the EU or the eurozone: the first if your grievance is trade policy, the second if it is the currency. But in the end, this distinction does not matter. The eurozone ran a current account surplus of 3.5 per cent of GDP in 2017 — which is huge given the size of the economy. The eurozone’s anti-crisis strategy since 2012 has been short-sighted, pushing the current account into a strong surplus and expecting the world to absorb it. It was a beggar-thy-neighbour strategy, more appropriate for small countries than the world’s second-largest economy. The reason why such a strategy is unsustainable is now becoming clear. It makes you vulnerable to protectionist action, such as the 25 per cent tariffs on steel and the 10 per cent tariffs on aluminium imposed by the US. These are due to take effect on Friday, barring a last-minute reprieve. Germany is a large exporter of steel to the US, but steel is only a side show. The real issue is whether Mr Trump is going to follow up on his repeated threats by slapping tariffs on imported cars. The Brussels-based think-tank Bruegel calculated the effects of a hypothetical 35 per cent tariff hitting the European car industry — it comes up with a revenue loss estimate of €17bn a year. The overall economic impact would be higher because of network effects. The EU is not only hooked on exports but also on producing cars to sell to the world. US tariffs are only one of three potentially destabilising shocks for the car industry. Another is a cliff-edge BrexitUS tariffs are only one of three potentially destabilising shocks for the car industry. Another is a cliff-edge Brexit. I do not expect that to happen, but it is a more plausible scenario than a revocation of Brexit. In that unfortunate scenario, the UK could end up imposing tariffs on cars imported from the EU. According to the latest German statistics, the US and the UK constitute the largest and second-largest sources of Germany’s trade surplus. The combination of US tariffs and a cliff-edge Brexit would be a debilitating shock. A third and more predictable problem is the ongoing collapse in the sale of diesel cars. A recent court ruling by Germany’s highest administrative court has given the green light to bans of diesel cars in German cities, many of which have no other way of meeting their emission targets. The German car industry placed a heavy bet on the longevity of diesel technology, and is having to come up with a plan B. Having invested in the wrong technologies for too long, the car companies are unlikely to be champions once the world is taken over with self-driving electric cars. From a strategic point of view it is utter madness for the EU to have allowed itself to become so dependent on the export of a late-lifecycle product. Its entire business model turns out to have been based on the bet that Mr Trump would not become US president, that there would be no Brexit, and that you could cheat on emissions targets forever. From a US perspective, the tariffs may be economically counterproductive. But this is a geopolitical power game: start with a tariff on steel and aluminium, wait for the EU’s counter-reaction (maybe tariffs on peanut butter or orange juice) and then hit back with a tariff on cars. The European Commission has a list of US goods for potential retaliatory sanctions. Germany wants the commission to tread softly. The US may still exempt the EU from the steel and aluminium tariffs but on tough conditions: a cap on steel exports and an increase in defence spending. There is a lot of diplomatic activity. But EU leaders are in a weak position and have relied for far too long on the US for its external security and, more recently, as the absorber of its structural current account surpluses. With his trade tariffs, Mr Trump has a single instrument to influence both the EU’s trade policy, and the defence spending targets of member states and their contributions to Nato. One could argue that it is immoral to use trade policy in this way. But that argument loses force if you consider the morality of the EU’s policy to run a large and persistent surplus with the rest of the world. Or indeed of making defence spending promises they had no intention of keeping. This trade war is indeed easy to win. It is going to be the equivalent of the fool’s mate in chess: the game could all be over in two moves. Do credit booms foretell emerging-market crises? ON THE morning of December 7th 1941, George Elliott Junior noticed “the largest blip” he had ever seen on a radar near America’s naval base at Pearl Harbour. His discovery was dismissed by his superiors, who were thus unprepared for the Japanese bombers that arrived shortly after. The mistake prompted urgent research into “receiver operating characteristics”, the ability of radar operators to distinguish between true and false alarms. A similar concern motivates research at the Bank for International Settlements (BIS) in Basel, Switzerland. Its equivalent to the radar is a set of economic indicators that can potentially detect the approach of financial crises. A prominent example is the “credit gap”, which measures the divergence between the level of credit to households and non-financial firms, expressed as a percentage of GDP, and its long-term trend. A big gap may reflect the kind of unsustainable credit boom that often precedes a crisis. Anything above 9% of GDP is reason to worry, according to Iñaki Aldasoro, Claudio Borio and Mathias Drehmann of the BIS. The biggest blips on the oscilloscope include Canada (9.6%), Singapore (11.1%) and Switzerland (16.3%), according to the latest readings, released on March 11th. But the one that has kept everyone’s eyes peeled is China, with a gap of 16.7% in the third quarter of 2017 (the latest BIS figure available). As a crisis-detector, the credit gap has some appealing operating characteristics. It can stand alone. It can be estimated quarterly across many economies. And, according to Mr Aldasoro and his co-authors, it would have predicted 80% of the crises since 1980 in the countries and periods for which data are available. The problem is that it has also predicted many crises that never arrived. When such early-warning indicators flash red, the chance of a crisis in the next three years is “around 50%”, says Mr Drehmann. The BIS provides over 5,200 credit-gap readings for the period since 1980. In over 850 instances, the gap exceeded 9% but skies remained clear. The problems seem worse in emerging markets. Their data are patchier, covering just 13 crises. Of this unfortunate number, only eight were preceded by a big credit gap. (Another three struck within three years of the start of the data, which may be too early to provide a fair test of the indicator.) There have been many false alarms. The credit gap flashed red almost continuously in Chile in 1993-2002, reaching over 24%, but no crisis followed. It was also persistently large in the Czech Republic in 2007-14 and in Hungary in 2000-10 without any great trauma ensuing. The indicator successfully predicted the “Asian flu” in Indonesia, Malaysia and South Korea in the late 1990s, but only after sounding a false alarm in all three countries in the 1980s. What about China? Paul Samuelson, a Nobel-prize winning economist, once joked that the stockmarket had predicted nine out of America’s last five recessions. Similarly, the credit gap predicted at least three out of China’s last zero crises. It rose above 9% in mid-2003, mid-2009 and mid-2012, where it has stayed since. China’s comeuppance may still arrive. But the gap is now closing rapidly. It has decreased from almost 29% in the first quarter of 2016 to less than 13% at the end of last year, according to The Economist’s calculations. One obvious explanation for China’s resilience is that its credit is mostly home-grown, extended by domestic banks and other Chinese lenders. By contrast the crisis-struck emerging economies mostly relied on inflows of foreign capital to finance their current-account deficits with the rest of the world. Looking at both current-account gaps and credit gaps may provide better predictions, says Michael Spencer of Deutsche Bank. He calculates that China’s risk of a financial crisis this year is less than 8% (assuming a credit gap of under 13%) partly because it runs a current-account surplus of about 1.4% of GDP. If China’s government keeps credit stable as a share of GDP this year, this crisis-risk could fall to about 5%. On that day of infamy in 1941, Mr Elliott took the radar blip far more seriously than his fellow operator did, despite being less experienced. Perhaps this should not be surprising. After less than three months of radar-watching, Mr Elliott was not yet jaded by routine. 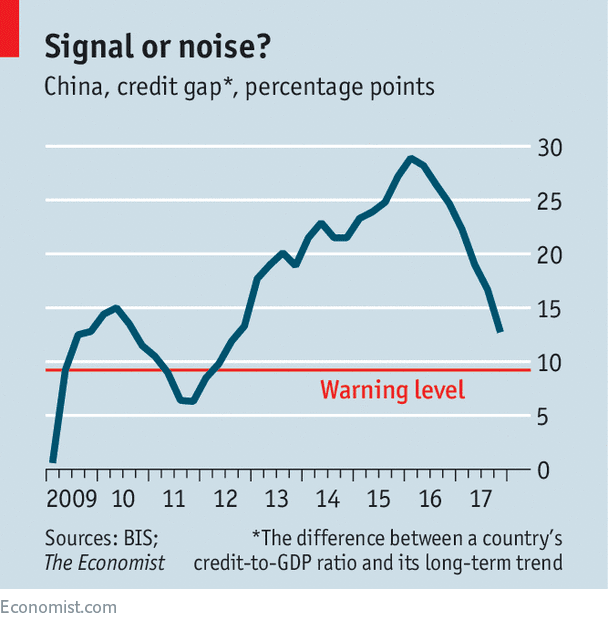 If a financial crisis eventually strikes China, many people will be caught out—not because of a lack of warnings, but because of too many. - Pro-Iranian rebels fired seven missiles into Saudi Arabia this weekend. - The missiles were intercepted, however, at least one death from debris was reported on the ground. - This marks another escalation in the proxy wars between Iran and Saudi Arabia. - It also demonstrates that Iran has little intention of backing off of their hegemonic ambitions in the Middle East. - It is virtually certain that President Trump will end the nuclear deal with Iran in May and that oil prices will rise as a result of at least 500k barrels per day coming off of supply. Saudi Colonel Turki al-Malki made it clear who Saudi Arabia thought was to blame: "This aggressive and random act by the Iran-backed Houthi group proves that the Iranian regime continues to support the armed Houthi group with qualitative capabilities..."
At the time that action was taken, columnist Sawsan Al Shaer made a point of questioning the Russian action stating: "The question is how Russia justifies to Gulf countries the veto it exercised against the resolution that prevents Iran from supplying Houthis with weapons." So, now we know where much of the world's oil will come from. The next key question is: where will it go? In 2017, China overtook the U.S. as the largest importer of oil with a record 9.57 million barrels per day. China's thirst for oil is likely to grow about 4% in 2018, down from a 5.5% growth rate last year. Still, that is a significant increase in needed supplies. This is happening at a time when Chinese oil production is peaking and likely to turn over in the next few years. As we can see from various actions, all three of the biggest producers are looking for ways to increase sales to China and Asia. Russia's Rosneft through a series of deals on debt, pipelines, and capacity increases has become China's leading oil supplier, displacing Saudi Arabia. The United States is now engaged in serious trade negotiations with China under the threat of tariffs. Last week, I suggested that a main way to reduce the U.S. trade deficit with China would be for them to agree to import more American natural gas. I am sure this is not lost on President Trump who has declared that the United States would become an "energy superpower." So that once again raises the question: "how to control oil supplies?" Certainly, sanctioning Venezuela is one way. That's already in the works as their oil production collapses. Another way would be to sanction Iran again or destroy some of their capacity in a conflict. It is very likely that the U.S. sanctions Iran again in May. A conflict might take longer to play out, dependent on when an uprising might start or when Saudi Arabia retaliates for the missile attacks. It should be noted and considered that Iran is the one nation suggesting raising OPEC production in 2019. They are also a major natural gas supplier to China. Controlling Iran's output would seem to be paramount to Russia, the U.S., and Saudi Arabia. Russia was a free-rider when the U.S. had sanctions on Iran. They will be a free-rider again. Aligned interests make strange bedfellows. Sanctions on Venezuela or Iran would assure $80 oil this summer. It is possible that oil prices could rise to near $100 temporarily before Saudi Arabia kicked in some of its 2+ mbd of excess capacity. Russia too has a bit, though much less than Saudi Arabia, excess capacity it can add. Of course, we know that the United States is heading towards 11mbd of production by 2019. So, any small disruptions to oil supply can be absorbed rather quickly by the three major producers. In the case of war, where outcomes are less known, oil could surge well past $100 per barrel. One newsletter has recently been touting $500 per barrel oil. I think that's clearly extreme, but makes the point, that supply disruptions would have an impact at least short term. 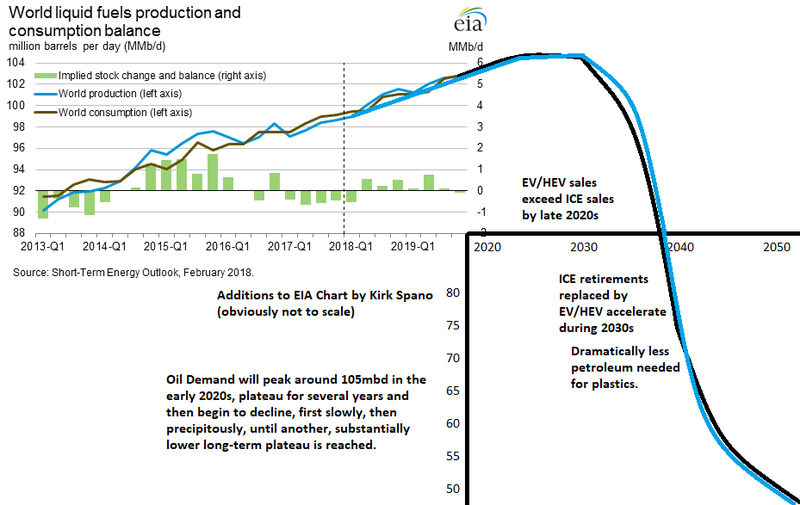 I see an oil supply disruption as something that shifts where supply is coming from. The reason we won't see oil prices much past $100 per barrel in the event of war is that if need be, oil supply can be brought on within a year or two from several other nations, pending assistance from the oil majors and relevant governments. Canada, for example, is a couple stalled pipelines away from being able to add a half million barrels per day to global supply. Brazil, Mexico, Angola, Nigeria, Libya all could add to global supply if the powers that be were motivated to see that happen. So, while oil is surely headed a bit higher, it is not going to soar as that would cause a severe recession and nobody wants that. All the parties involved are motivated to see oil around $80 per barrel, the Goldilocks price. I am recommending a 15-25% overweight to energy for the next 2-4 years. The temptation is to add ETF exposure. That's not a bad idea. 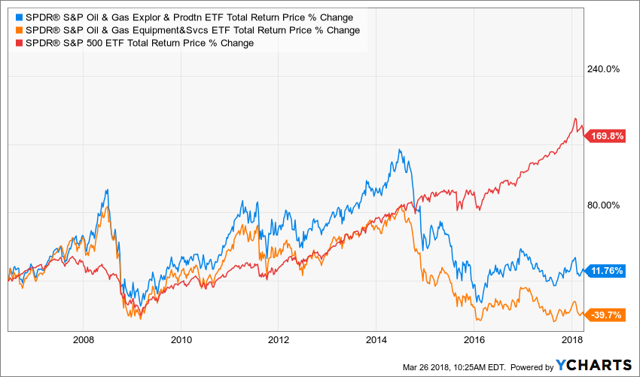 I have on a few occasions suggested buying the Energy Select Sector SPDR (XLE), SPDR S&P Oil & Gas Exploration & Production (XOP), and SPDR S&P Oil & Gas Equipment & Services (XES) ETFs which have been beaten up relative to the stock market. You can certainly buy these ETFs now. However, there is a better idea for those who are buying individual stocks. Build your own personalized ETF of top energy space companies. Here are the companies on the Margin of Safety Investing "Very Short List." The "VSL" is a list of companies I believe can lead in the next decade. All of these are buys right now in my opinión. Chesapeake Energy Corp. (CHK) Oil & Gas E&P - high risk due to debt, however, if oil prices do rise, likely to see dramatically higher free cash flow after next asset sale. Encana (ECA) Oil & Gas E&P - very cleaned up balance sheet with exposure to 4 great plays including Permian, a takeover target, potentially by Royal Dutch Shell (RDS.A) who described looking for a company that fits Encana's profile. Helmerich & Payne (HP) Oil & Gas Services & Equipment - America's largest land driller and sporting a fat secure 4.2% dividend yield. Kinder Morgan (KMI) Pipelines - the largest natural gas pipeline company in America with a rising dividend after cleaning itself up after oil crash. Occidental Petroleum (OXY) Oil & Gas E&P - largest producer in the Permian with diversified assets. Speculative rumored takeover target by Exxon (XOM). 3% dividend. Pioneer Natural Resources (PXD) Oil & Gas E&P - moving towards being the largest Permian Basin pure play. Selling assets short-term, cash flow machine or takeover target intermediate term. Financial markets rebound. Global equities rebounded at the start of trading on Monday, after a steep selloff last week. The Trump administration, even by its standards, left the markets suffering from whiplash after a wild ride of surprise policy announcements. $60 billion in tariffs on Chinese goods combined with the radical shakeup of Trump’s cabinet led to a spike in geopolitical concerns, sparking a slide across financial markets. By Monday, investors seemed to have calmed a bit, and have scooped up discounted assets. - Many U.S. coal plants are struggling. In fact, almost half of U.S. coal plants were in the red last year, according to Bloomberg. - Cheap natural gas is killing coal. Coal only does well during extreme cold weather snaps, such as the polar vortex in 2014. 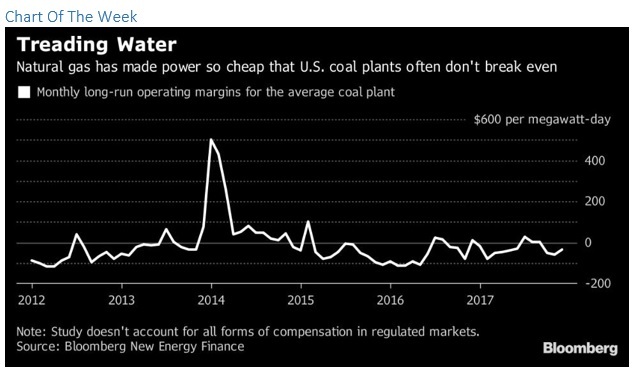 - Some “out-of-the-money” coal plants remain online because regulators deem them important for grid reliability, but those markets are only in specific regions of the country. Trump’s $60 billion in tariffs on Chinese strategic industries. The Trump administration unveiled $60 billion in tariffs on Chinese goods last Thursday, and the levies targeted 10 sectors that are strategically vital for China, laid out in its “Made in China 2025” plan. As the FT reports, these include: advanced IT products; automated machine tools and robotics; aerospace and aeronautical equipment; maritime equipment; modern rail equipment; electric and other “new energy” vehicles; power equipment; agricultural equipment; “new materials”; biopharmaceutical and other advanced medical products. Markets are now waiting on a retaliation from China. The Fed hikes interest rates, but forecast remains the same. The Federal Reserve hiked interest rates by a quarter-point last week, although it still forecasts that the federal funds rate will hit 2.1 percent by the end of 2018, which is unchanged from its December forecast. There had been speculation that the central bank might raise rates four times this year, but the Fed signaled last week that it will stick with three rate increases. However, the Fed said that the federal funds rate would likely rise to 2.9 percent in 2019 and 3.4 percent in 2020, both upward revisions. Two risks threaten commodities. Reuters analyst Clyde Russell argues that there are two trends that could dramatically affect commodities this year, one bullish and one bearish. There is evidence that mining companies might overspend and overpay for assets, injecting too much capital into projects based on overly-optimistic forecasts. That could inflate prices. On the flip side, the brewing U.S.-China trade war could slow economic growth, which could be a significant headwind for commodities. Gold prices hit 5-week high. Gold prices shot up last week by 3 percent over market uncertainty that led to a flight into safe haven assets. Concerns of a trade war, an actual war (Iran, North Korea) and the declining dollar all worked in the favor of gold. Gold prices rose to a 5-week high. “Gold’s gains feel unexpected, but considering the growing volatility in the equity markets and uncertainty surrounding the Chinese-U.S. tariffs, the implications from a larger trade war are sending safety into precious metals,” said Peter Spina, president and chief executive officer of GoldSeek.com. China’s control over cobalt grows. Chinese battery maker GEM signed a massive cobalt supply deal with Glencore (LON: GLEN) in mid-March, which would see a third of Glencore’s supply heading to China over the next three years. It is also equivalent to about half of the world’s cobalt production in 2017, and the deal will likely continue to up push prices, which had already been shooting up for the past two years. The deal also raised concerns about the concentration of the cobalt market – reserves are overwhelmingly concentrated in the Democratic Republic of the Congo, and the processing capabilities are largely located in China. China launches oil futures contract. Monday marked the first day of trading for China’s new oil futures contract on the Shanghai International Energy Exchange. The September contract is reportedly the most heavily traded thus far, according to S&P Global Platts. S&P said that there were 413 participants at the start of trading, including state-owned oil companies (Unipec, CNOOC, Sinochem, Northern Petroleum), independents and also foreign traders (Trafigura, Glencore and Freepoint). The yuan-denominated contract could rival Brent and WTI for prominence in the global oil trade. It could also bolster the yuan and give China more pricing influence over oil flows. Spike in geopolitical uncertainty. President Trump’s decision to appoint John Bolton as National Security Advisor significantly raises the odds of a confrontation between the U.S. and North Korea, as well as the U.S. and Iran. On both fronts, Bolton has repeatedly advocated a war-first strategy. At this point, the Iran nuclear deal looks like it will be thrown in the trash by the Trump administration in May when a key deadline arrives. At the same time, the proposed meeting with North Korea’s dictator is tentatively scheduled for May. “You’ve got a geopolitical mega storm coming in May,” Bob McNally of the Rapidan Group told the Houston Chronicle. Oil prices spiked on the surge in geopolitical risk last week. Bitcoin trading pattern shows downside risk. Bitcoin has been unable to break above $9,000 for a week, which raises the risk of a deeper slide. The cryptocurrency has had trouble breaking resistance levels on the upside. As of Monday morning, Bitcoin traded just below $8,200, and technical trading patterns suggest a bearish move could be imminent. Quebec halts new cryptocurrency mining permits. Quebec has become a hotspot for cryptocurrency mining, largely due to its cheap hydropower projects and chilly weather. An estimated 30 applications for new crypto mining projects have been filed since January. But as electricity demand faces strain, the province has halted the development of new projects. Quebec’s Premier said that the province is not interested in mining projects that do not have “added value for our society.” The case is another example of the backlash against cryptocurrency mining that is gathering force in localities where mining projects are proliferating. Bank accounts could disappear within 15 years. One of Deutsche Bank’s most senior executives said that bank accounts could become obsolete within the next 15 years. Marcus Schenck said that a recent trip to China made him realize that retail banking is ripe for disruption. He was referring to individual wallets for cryptocurrencies, allowing people to store their money digitally without the need for a third party, like a bank. "There's a thesis that at some stage in 5, 10, 15, 20 years — who knows — accounts will disappear, and be replaced,” Schenck said at Bloomberg’s European Capital Markets Fórum. China launched its long-delayed renminbi-denominated oil futures on Monday, as it establishes a pricing benchmark in the type of high-sulphur crude favoured by its refineries, wresting some control from Brent, the global oil standard, and US benchmark West Texas Intermediate. The contract is the first Chinese futures product that can be traded by overseas entities without a presence in China, representing Beijing’s latest step towards financial opening and to promote global use of its currency. China overtook the US as the world’s largest oil importer last year, but the main oil benchmarks are determined in London and New York. The contracts launched in Shanghai on Monday are for delivery of the type of “sour” (high-sulphur) crude mainly consumed by Chinese refineries, for example Basra Light and Oman Blend. “It’s a fairly natural progression that there is a benchmark in Asia denominated in renminbi,” said David Martin, Asia-Pacific head of global clearing at JPMorgan. Six of the seven oil grades referenced in the futures are from the Middle East, with the other from China. Gulf countries “could be handing pricing power to their major buyer,” one industry executive said before the launch of the contract. BMI Research, a market analysis group, said in a commentary that China’s new oil futures could also affect crude spot prices in Japan and South Korea. “There is a precedent from the iron ore and coal markets where China’s domestic prices and importing patterns are now treated as reference points for the industry,” it said. Li Qiang, Shanghai’s Communist party chief and Liu Shiyu, head of China’s securities regulator, banged a gong at the Shanghai Futures Exchange to launch trading on Monday morning, following speeches heavy with party slogans. First day liquidity saw turnover of more than Rmb17bn ($2.7bn), officials said. Prices for delivery in September closed down 2.7 per cent from the opening price to Rmb428 ($68) a barrel. The Shanghai International Energy Exchange (INE), the unit of the Shanghai exchange that oversees trading of the futures, has offered incentives for overseas investors such as tax holidays and exemptions from capital controls. INE has allocated a total storage capacity of 37.42 million barrels at six sites along China’s coast. Although not large, this storage will facilitate price assessments and could act as a hub for re-exports since the designated storage is located in free-trade zones. But analysts warned that the quirks of Chinese markets could discourage foreign investors. China maintains tight capital controls, with some companies finding it difficult to move money out of the country. Beijing has a record of market intervention, while settlement in renminbi adds to currency risks. “The Chinese oil market is heavily state-led . . . As such, there are valid concerns over the potential for price squeezes or distortions,” BMI said. There are other hurdles, such as idiosyncratic trading times and the fact that Chinese futures are prone to speculative bubbles and their liquidity is concentrated in specific months. “In the short term, we do not expect material movements of volumes to the Shanghai exchange from other established exchanges such as Nymex and ICE,” consultancy Wood Mackenzie said in a note. At least 10 foreign entities have registered to trade the contract including JPMorgan, Bands Financial and Straits Financial Services. Regulatory hurdles mean “there will be a gentle start for foreign investors,” Mr Martin added. Vladimir Putin has been re-elected as president of Russia. This is not the kind of Russia nor the kind of president Western liberal democrats expected when the Soviet Union collapsed in 1991. They wanted and expected the values and institutions of the European Peninsula to become Russian values and institutions, and expected Russia to align itself with the West. In retrospect, it is not clear why this was expected. Russia is in many ways fundamentally different from the West, and has been so for centuries. And it hasn’t been apologetic about it. Apart from small groups of Westernizers – intellectuals enamored by the West – the Russian public has embraced, or at least accepted, Russia for what it is. This is shown by the fact that Putin is enormously popular, in spite of Russia’s economic difficulties. Western liberal expectations have been disappointed by Czarist reformers, Soviet rulers and now Putin. The problem is that liberal reformers see Russia, and other countries, as nations eager to become like them. It is a form of Western narcissism that leads to a misunderstanding of the world. There have been massive disruptions in Russia of course, including the Russian Revolution and the fall of the Soviet Union. But the West continually confused the collapse of institutions as liberalization, and failed to recognize this as both disastrous for Russia and alien to Russian culture. The West was always surprised when Russia returned to what it was, blaming Stalin or Putin for re-establishing the institutions that stabilized Russia, and regarding this as a misfortune due to the wickedness of one man. Wicked they might have been, but they understood the Russian problem better than those who thought Russia might become like Italy or France. Russian history is filled with bluffs. Take, for example, the stories of Potemkin villages in which what looked like impressive, reconstructed structures were really just the fronts of buildings with nothing behind them, to make it appear as though Russia was more developed than it was. There is much behind the facade now, but not as much as Putin wants us to think. - Since the financial crisis Americans have lived in fear of an imminent recession. - Despite strong fundamentals and rising consumer, small business, and corporate confidence, many still expect the economy to fall off a cliff relatively son. - While economic growth continues to be weak by historical standards and expectations are falling for short-term growth, the economy remains on track to deliver where it counts. - In fact, a slow but steady pace of gradual economic growth, coupled with an ever stronger labor market, could keep a lid on both inflation, and long-term interest rates. - When combined with an eventual gradual rise in wages and increased investment into productivity boosting technology, this could result in a decades long economic expansion like seen in Australia. Last week I pointed out all the reason why I think this bull market could run for several more years. In fact, given current economic conditions, it might potentially turn this into the longest, and strongest bull market in history. Of course for that to happen a lot has to go right. So let's take a look at what those factors are, and more importantly, why I'm still optimistic that we could be set up for continued steady growth in stocks for years to come. In fact, there's even a chance that America might be on the brink of an economic expansion that lasts for decades. However, due to a number of factors, some of which the US has emulated (embracing free trade) and some it hasn't (about three times the level of immigration, balanced budgets), Australia managed to chug along; growing slowly but surely. Of course that doesn't mean that the growth has been particularly strong. In fact, in the past decade the best growth Australia has achieved was 1.3%. In addition there are plenty of reasons for concern, just as in the US. For example, the household debt/GDP ratio has risen and now steadied at 121%, (in the US it's 78.5%). This high personal leverage ratio is potentially one reason the rate of growth has been so unimpressive. 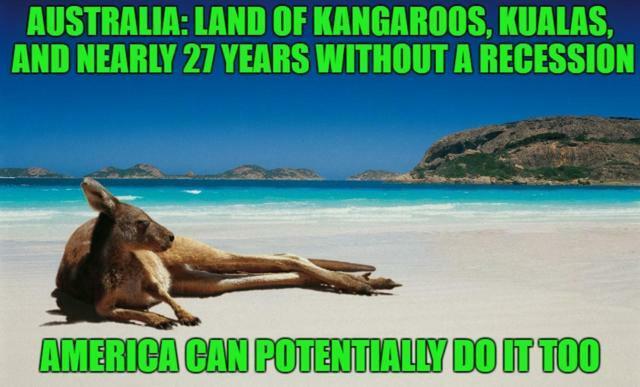 But the point is that both Australia and Holland have proven that developed nation's can go decades without a recession. So can the US achieve the same thing? I believe it can, assuming five factors occur. US households had to deleverage and they have, with household debt to GDP steadily falling up until 2016, when it stabilized. Since then the pace of economic growth has begun to noticeably accelerate. In addition the New York Fed's nowcast real time GDP growth tracker is estimating that we hit 2.7% in Q1 of 2018, and 2.9% in Q2 of 2018. Now it's true that these estimates have been drifting lower over time, but that just means that they are lining up with other projections. Projects such as that of Toronto-Dominion Bank (TD) which is projecting: 2.7% GDP growth in 2018, 2.9% in 2019, 1.8% in 2020. Meanwhile the Federal Reserve is projecting 2.1% growth in 2019 and 2.0% in 2020. Now of course no economic forecast should be taken as gospel since they are all based on models and assumptions that can ultimately prove wrong. But the point is that it appears the US is on track for continued slow and steady growth. And while that may disappoint people who were hoping for 3% to 4% growth, the fact remains that the best thing for this expansion is for a very gradual increase that keeps us in the Goldilocks zone. Where growth is stronger, such as double the rate of Australia. But not fast enough to trigger inflation, and rising interest rates that have historically been a major contributor to recessions beginning. The most recent jobs report was darn near perfect. More importantly 806,000 people re-entered the labor force, as people's confidence in the job market and prospects for good employment increased. And what about wage growth? Well January +2.9% YOY rate freaked out the bond market and likely helped trigger the correction. But in February it was revised down to 2.8%, while February YOY wage growth was 2.6%. However, note that non managerial jobs (80% of all jobs), rose from + 2.4% in January to 2.5% in February. In other words wage growth remains about 2.5%, the average in 2017. That's actually far below the Fed's target range of 3.5% to 4% but is likely explained by the continued large number of people out of the labor forcé. What's needed to move wage growth up, and help boost consumer spending while also improving the savings rate (to prevent another debt bubble), is time. How much time? Well at the rate that prime age labor participation has been rising, it would take 16 months to get back to our pre-crisis high (83.4% in January 2007). Another 32 months are needed to get back to the all-time high of 84.6% set in January 1999. Now we might not necessarily be able to get there. But the only hope we have is avoiding the biggest risk to this expansion. Which is high inflation and interest rates rising high enough to choke off both consumer and corporate spending. The worry that both the stock market (SPY), (DIA), (QQQ) and bond market is this. A tight labor market plus $1.8 trillion in fresh stimulus from tax cuts and $300 billion in extra spending will overheat the economy, drive up wages, causing inflation and the Federal Reserve to raise rates faster. Fed moves is the Fed Funds rate. This is technically the interbank overnight lending rate and isn't what affects corporate borrowing. Those would be long-term rates, the proxy for which is 10 and 30 year treasury bonds. However, banks do index their prime rates, (which affect consumer lending), to the Fed Funds rate. So things like credit cards rates could indeed go up faster, as could the cost of new consumer loans. That could slow consumer spending which drives 65% to 70% of the US economy. 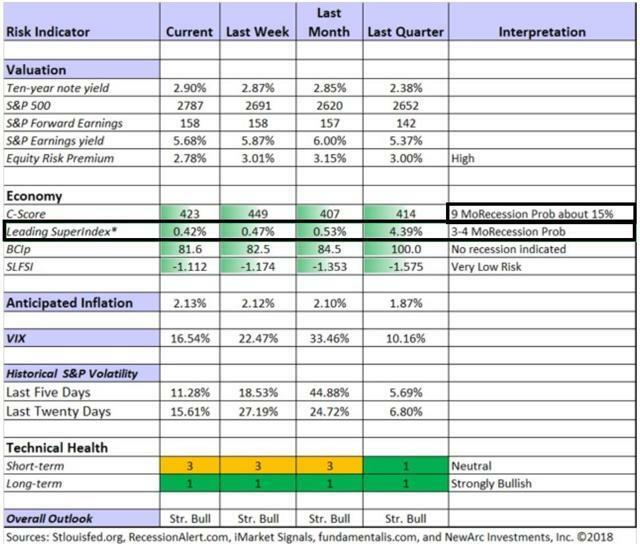 In the meantime inflation expectations are ultimately what most affects long-term rates. So if inflation is rising then so are long-term interest rates and corporate borrowing. Theoretically new investments could fall, especially if consumers are spending less, and thus trigger a recession. The reality is far more complicated than that, since consumer spending is highly individual. It depends on dozens of hard to predict factors like: confidence, employment, wage growth, savings rate, debt levels, etc. The good news is that the inflation that everyone is so worried about remains muted. 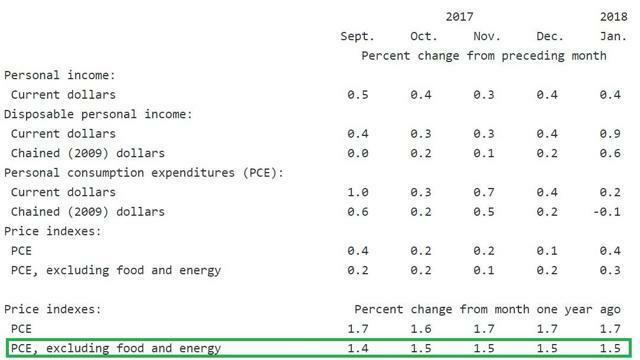 In fact, based on the Fed's favorite inflation gauge, the core, (ex food & fuel), personal consumption expenditure index, inflation remains stuck at 1.5%, as it has the last three months. Currently the bond market is pricing in 2.1% long-term inflation, basically at the Fed's target level. However, bond yields have already halted their previous fear inducing climb as the market realizes the truth that inflation continues to be surprisingly muted. The good news is that, if the expansion continues long enough, eventually all the slack in the labor force will be gone and wages will have to rise. But won't that just trigger inflation, rising rates and trigger the next recession? 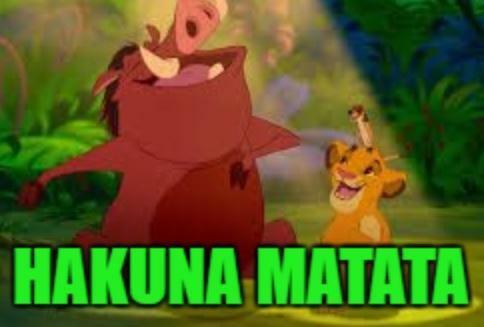 Not necessarily. 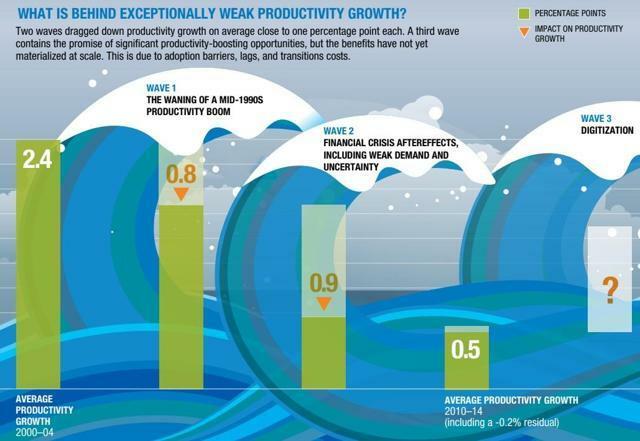 Ultimately economic growth is due to two factors, labor force size and productivity. That's because this determines how much goods and services can be produced, and ultimately consumed. America's aging demographics, (10,000 baby boomers reaching retirement age each day), have slowed the growth of the labor force and helped contribute to slower growth in recent years. However, population growth, specifically of the labor force, has only accounted for about 33% of global GDP growth in developed nations over the past 50 years. Productivity was far more important because it allowed each worker to produce more output. Rising productivity also allows wages to grow without triggering inflation, since the unit price of the good or service actually falls. According to a study by analysts at McKinsey & Company, a good deal for the major slowdown in US productivity was due to ongoing effects of the financial crisis. These include both a decrease in demand causing under utilization of current resources, as well as a lack of wage growth meaning less incentive to invest in productivity boosting capital. Think of it like this. If unemployment is high and workers are desperate, then they'll work for low wages, and so are cheaper than robots. But if the economy picks up? Then you have stronger demand, and need to hire more people. If there aren't enough then you have to raise wages to attract enough workers to grow, but that can hurt profit margins. So what's the solution? Buy some robots, (or automation technology), so that you can hire fewer new workers but still meet growing customer demand. Instead of 10 you can make due with five. And yes each is getting paid more, but if they are twice as productive than your unit cost drops, and your profits rise. This explains not just why productivity is so important for healthy and non inflationary wage growth, but also why investment is important as well. Without investment into improved production technology, productivity doesn't increase, neither do wages, and growth slows to a crawl. So phase one is to get the economy recovering long enough to fully heal the labor market and get wages growing again. At which point rising labor costs, as well as a lack of sufficient labor supply, will likely drive greater investments into productivity boosting investment. This is why the best part of the tax reform was the instant expensing of capex, which lasts through the end of 2022. Mostly automation, and AI driven digital technologies. But wait a second? Haven't we been hearing about the wonders/horrors of automation for years? Aren't the robots coming to take all our jobs and shouldn't Alexa have replaced all the butlers by now? Well actually no. As McKinsey points out there is a substantial lag time between when technology is invented and when it can actually become useful to spurring productivity. In fact, this is known as the Solow Paradox. This is a historical observation that as investment into a new technology increases, productivity may actually fall before it starts to rise. That's because new technology is disruptive and both workers and companies don't initially know the best practices for how to use it efficiently. For example, the computer was invented in the 1970's, and the internet in the late 80's. However, it wasn't until the mid 1990's that companies actually figured out how to effectively use them to boost productivity and send the economy roaring. 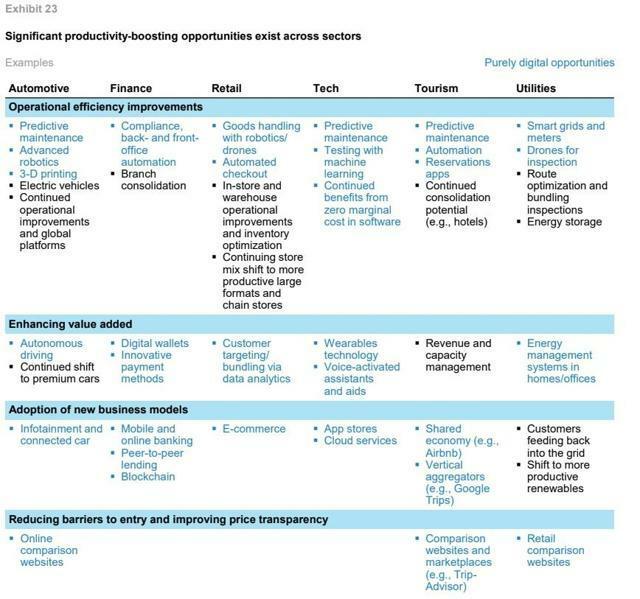 McKinsey estimates that America's "digital utilization" is just 18%, meaning that we are just at the beginning of a great potential productivity boom. One that is likely to really kick off in the 2020's. But how big of a boom are we talking? Well McKinsey's analysts estimate that greater investment in general will boost productivity growth by 0.8%, while the technology itself will add another 1.2%. That's a total of 2% addition to approximately 0.5% productivity we've been stuck with, for a total of about 2.5%. That's essentially the same level of productivity growth we had in 2000, at the tail end of the tech boom. 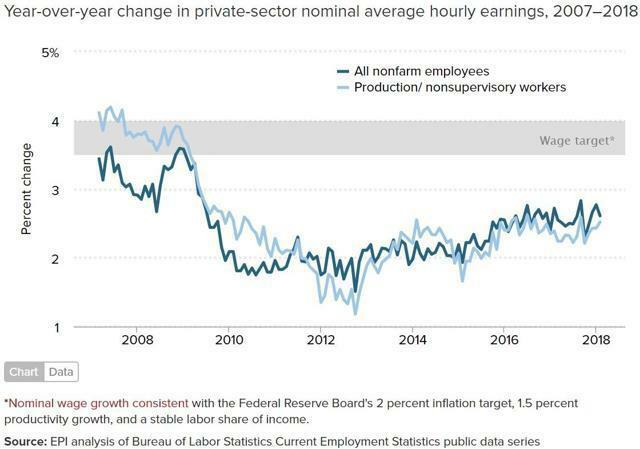 To put that in perspective if productivity is rising by 2.5% in 2025 then wages could be potentially growing at 4.5% annually and core inflation would be right around the Fed's target of 2%. Or to put another way 2.5% productivity means that inflation adjusted purchasing power could be rising at a rate that would double every 28.8 years. Of course this study, while detailed, was ultimately based on models, and so might prove incorrect. However, if this decades' low productivity and growth is indeed mostly due to the financial crisis overhang and Solow paradox? Then it's just a matter of time before strong growth in productivity, (up to a 400% increase), sets off a prolonged and potentially strong 90's style economic boom. The key is keeping the economic expansion growing long enough for that to happen. That means above all else, avoiding extreme levels of growth of any kind: economic, wage, inflation, or asset prices. Which brings me to the final factor that's needed to allow the US economy to potentially avoid a recession, (and bear market), for decades. The last two economic recessions were triggered by bubbles bursting, in the stock market and housing market. Well some people are afraid the same thing might happen again. That's a rational fear, since bubbles often end in tears, and can even cause decade long recessions. However, as Factset Research points out, Q1 2018 S&P 500 EPS is expected to grow at 17%, the fastest rate since Q1 2011. Full year EPS is expected to rise 18.4%, with about 8% of that being from tax reform but about 10.4% being organic EPS growth. 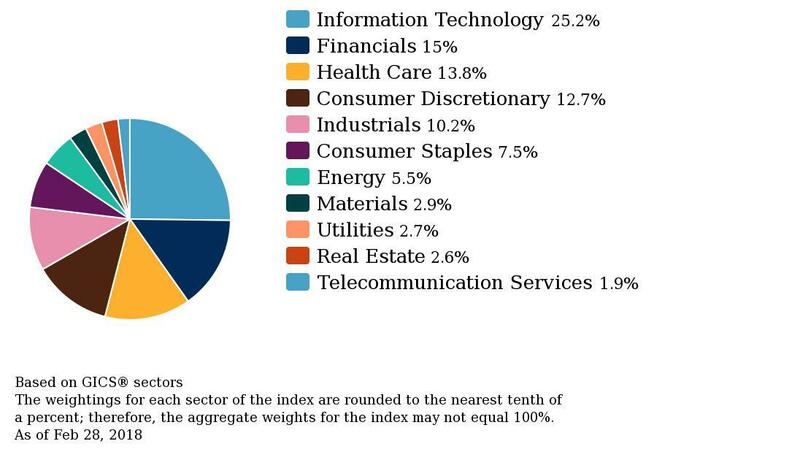 That would put the S&P 500's forward PE ratio at 17.1, above the 10 year average of 14.3. But keep in mind that this average includes the financial crisis, so 17.1 isn't necessarily dangerously high. For sure it's not bubble territory. Better yet? Analysts are expecting stocks to rise only 13% over the next year. Not only is that a good figure but it's slower than earnings growth. That means that multiples would decrease and the risks of a bubble style crash would get smaller. And if next year we get another strong 10% EPS increase, then the market could safely rise another 8% to 9%, (about historical average since 1871), and multiples would contract again. That would allow the bull market to continue with ever smaller probabilities of a crash. Now could a US recession cause a bear market? Sure, if the above five factors don't hold. But from a fundamentals point of view the risks of a recession are very small right now. In fact, according to a meta analysis of leading economic indicators, the risks of a recession starting within the next 4 months, and nine months, are 0.42% and 15%, respectively. So the bottom line is that as long as investors stay nervous about the markets, and thus stocks rise slower than earnings, then there is little chance of a market bubble triggering a recession. Don't get me wrong, I'm not saying that America will definitely go a quarter century or longer without a recession. Nor am I predicting that this bull market will necessarily last for anything close to that long. However, most of the reasons that people are so afraid that both the expansion and bull market might end soon are simply overblown. 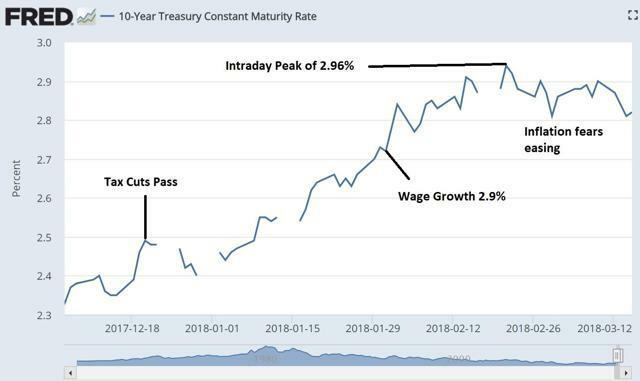 The economy isn't overheating, wages aren't soaring, inflation is still stuck at historically low levels, and long-term rates are no longer threatening to soar to the heavens. 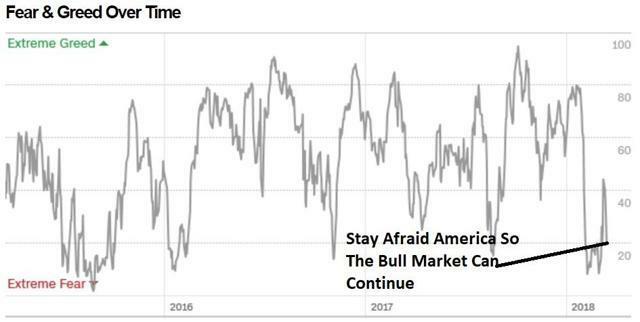 In addition while consumer, small business, and corporate confidence are at close to their highest levels in decades, there are few signs that the stock market is headed for insane bubble levels. Levels that might trigger a market crash so severe that it could single handedly trigger a recession. So while there are plenty of things that could derail America's economic engine, thus far the risks appear to be small. So relax, keep working, saving, and investing for the future. It's likely to be a lot brighter than the pessimists would have you believe.